It’s a beautiful sunny morning. We step out of the hostel, adjust our back pack straps then start walking towards our first stop of the day. Everything is unfamiliar but we know exactly where we are. Thanks to Google Maps. Motorcycles loaded with boxes, sometimes baskets, of produce, whiz past us as we halt every few minutes to check the phone for directions. We reach a street called Calmette and we keep walking. The place should be near. 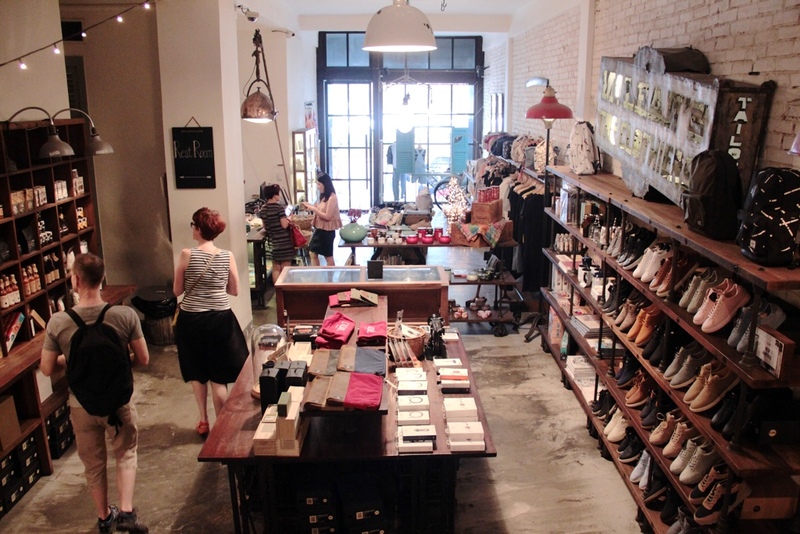 To our left are rows of shophouses — key duplicators, motorcycle shops, cafes — ready to accommodate customers. To our right was a temporary wall enclosing a new development, maybe a hotel or a commercial complex and beyond it was a market with a clock tower. Pedestrians watch us and I can tell they can tell we are not from around here. We reach the end of the street and realize we have missed it. We retrace our steps and in just a few seconds find an all glass storefront with the word “Maison Marou” in classy matte gold stuck on it, just as we had seen online when we were reading up on this place. 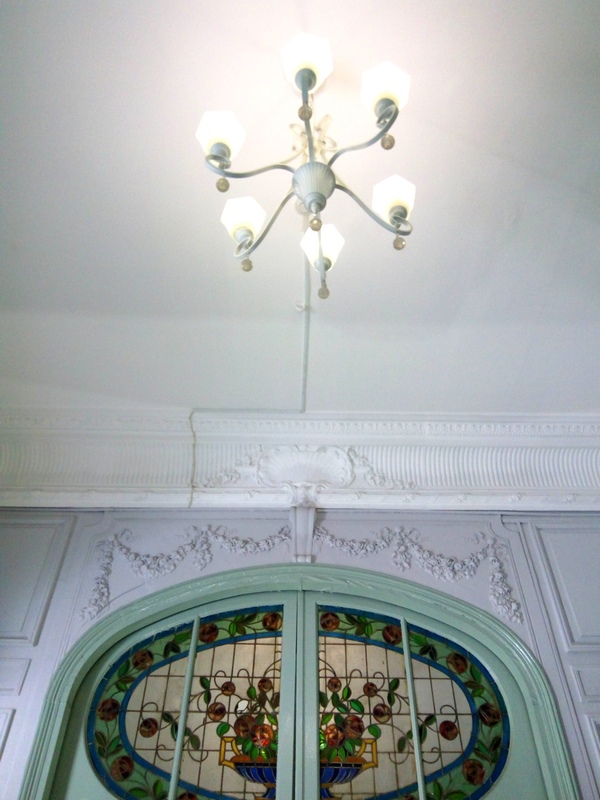 I snap a quick photo of the facade. 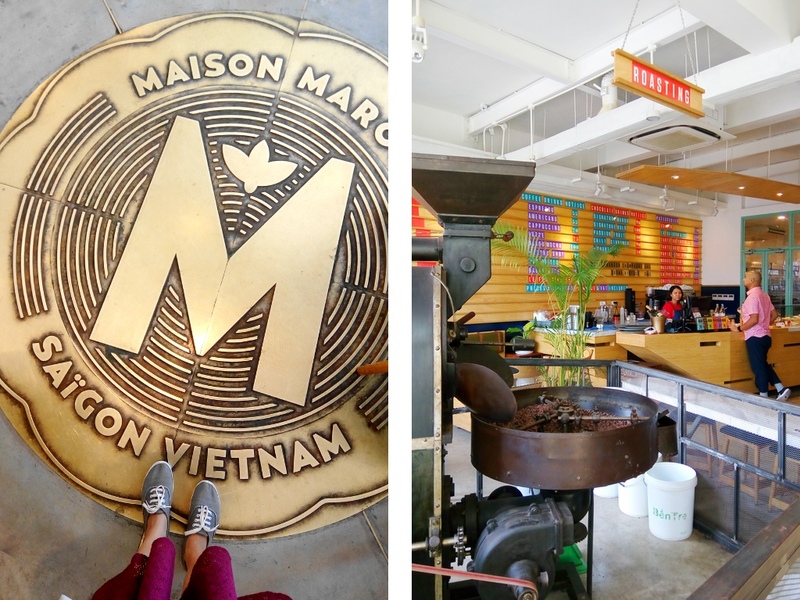 We step into its doors and aside from noticing the beautiful interiors and the roaster by the entrance, we are immediately overcome by the smell of — chocolate! It’s a chocolaterie after all and we have come to celebrate. It was my 33rd birthday and this is how I spent it— at a foreign country, with 5 kilos of my possessions on my back, a phone in hand ready to snap pictures plus give directions and wide eyes full of wonder. 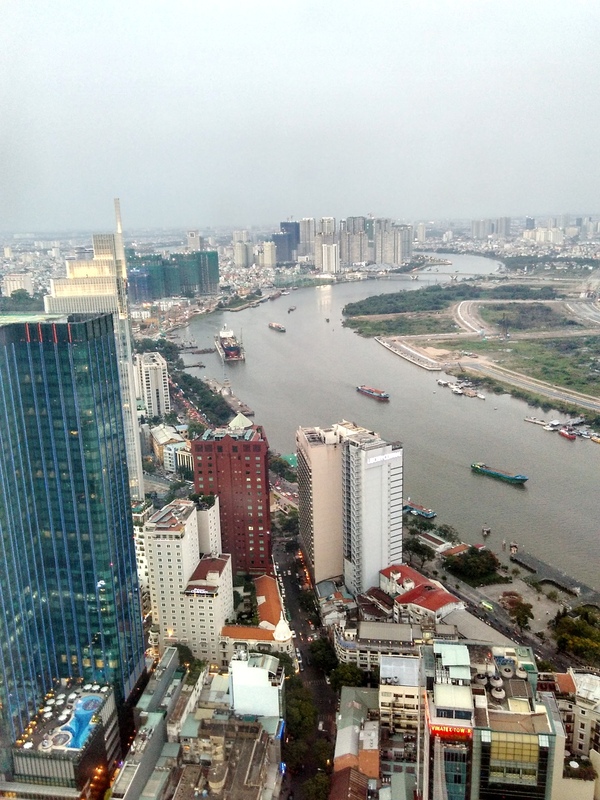 Kayo took me to Vietnam as a birthday present, beginning our trip in Ho Chi Minh, also known as Saigon. Well…he had other things on his agenda really, but in this particular blog post, let’s just pretend this trip is solely because of me and for me. Haha! We had been dreaming, planning and saving up for a “just us, no kids” trip for quite some time now but life, in all its unpredictability, happens and plans get side-tracked more often than we’d like. We actually hadn’t gone abroad since our honeymoon close to seven years ago so you can just imagine our excitement and happiness about finally having been able to make this trip happen. We definitely worked hard for it and as you read this post and the others we’ll write in the coming days, you’ll notice just how we’ve squeezed all the life and experience we could from this time away together. It’s special in more ways than I can express. 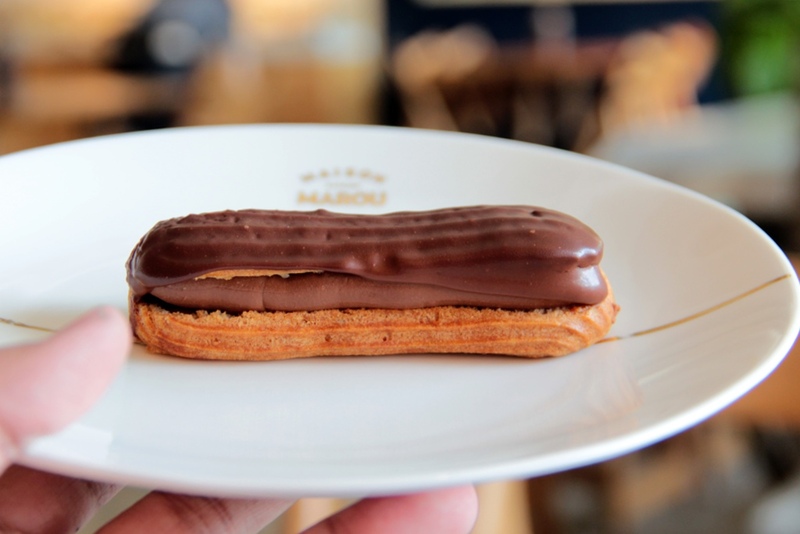 We finished the eclair almost immediately. It was absolutely divine. 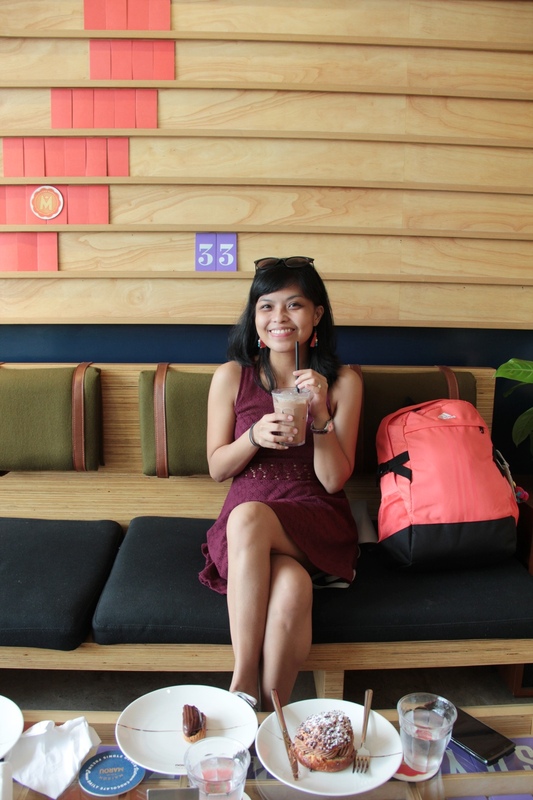 I chugged what I think was the best chocolate drink I’ve ever had and then we set out to explore the city. 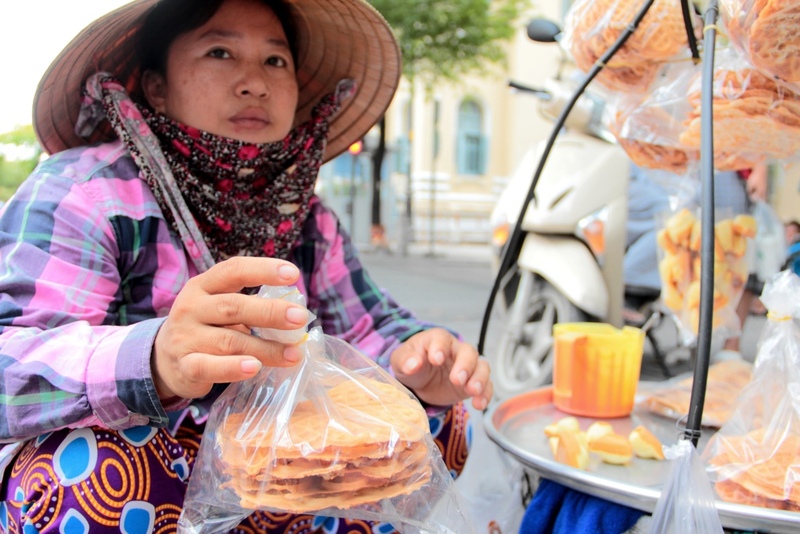 Certain places are in our hit list because we want a first hand experience of Vietnamese culture for sure but some places we pinned because we are on the lookout for fresh ideas. 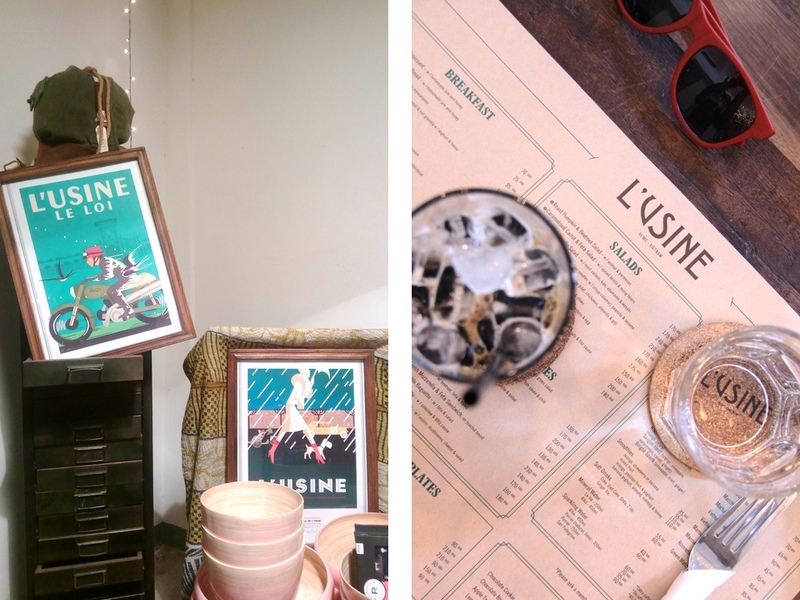 We visited L’usine not only for lunch but also for style and design inspo. 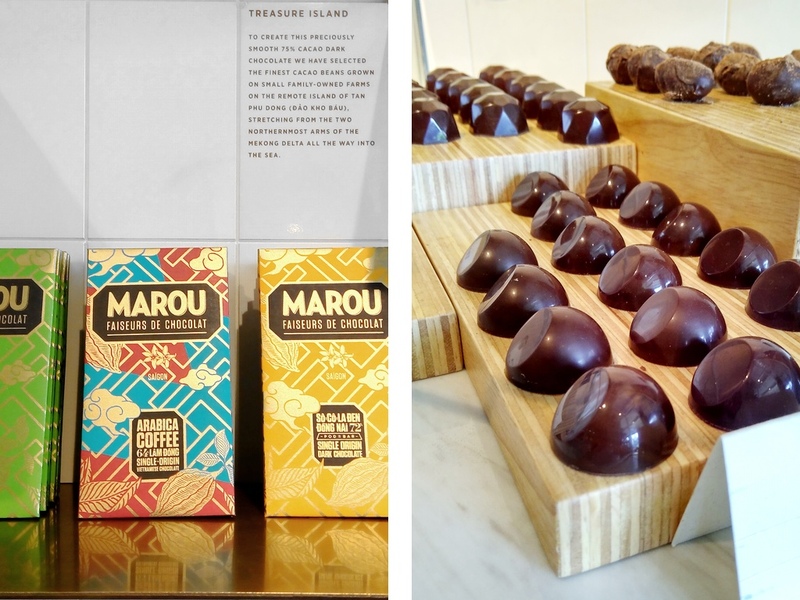 Even our visit to Maison Marou was for the same reasons and these places were definitely a feast for the designer’s eye. At some point Kayo and I split up and we each did our own thing. 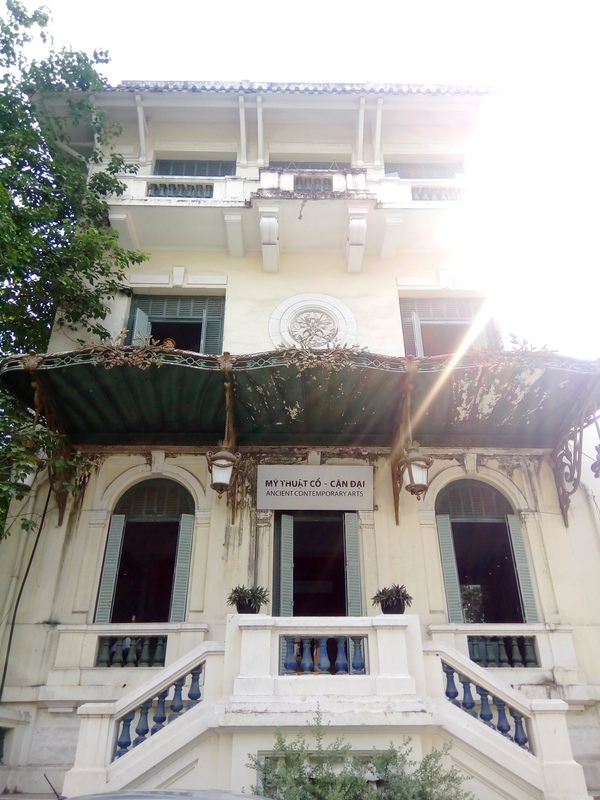 He had coworking spaces to tour and I headed for the Ho Chi Minh Fine Arts Museum. 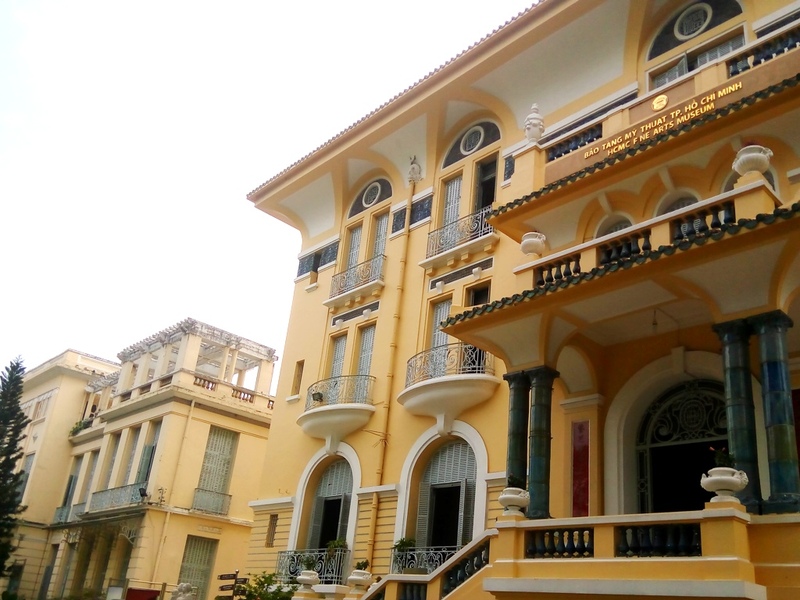 Getting there, I discovered that it is composed of three different buildings in one compound housing a mix of classic and contemporary pieces by various Vietnamese artists. I had no where else to be and had the afternoon all to myself so I took my time exploring every floor and exhibit. It was quite intoxicating being surrounded by all that art. 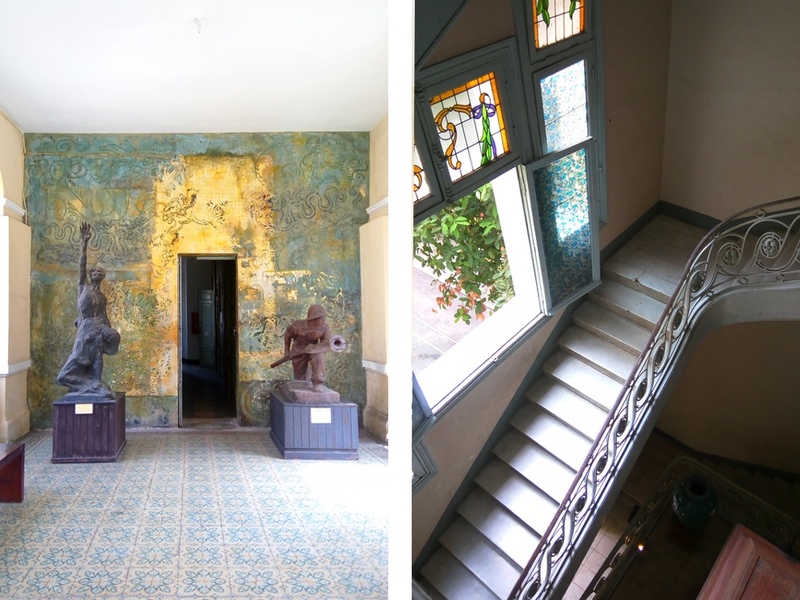 It wasn’t just the paintings, sculptures and artifacts that were interesting and beautiful. 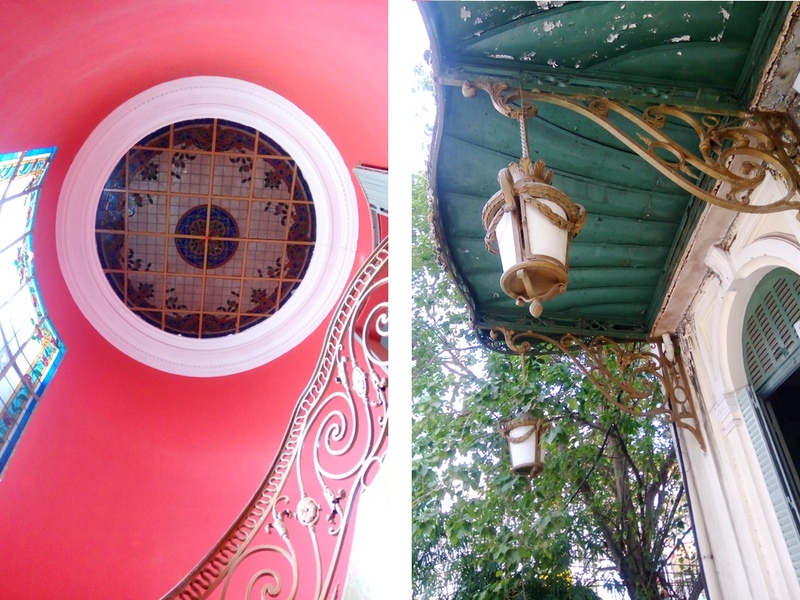 The buildings themselves, the architecture, interiors and the charming little details of the structure, despite their weathered and unmistakably aged appearance were marvelous to me. 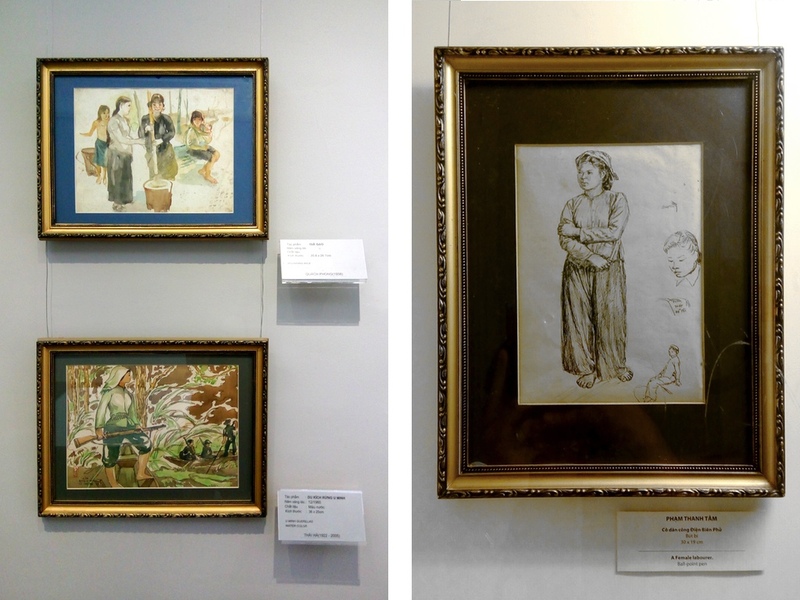 Another thing I found amazing about the museum was the strong presence, not only of Vietnamese women artists, but more so of Vietnamese women as subjects. Mothers, children, farmers, common laborers, even women soldiers and leaders. 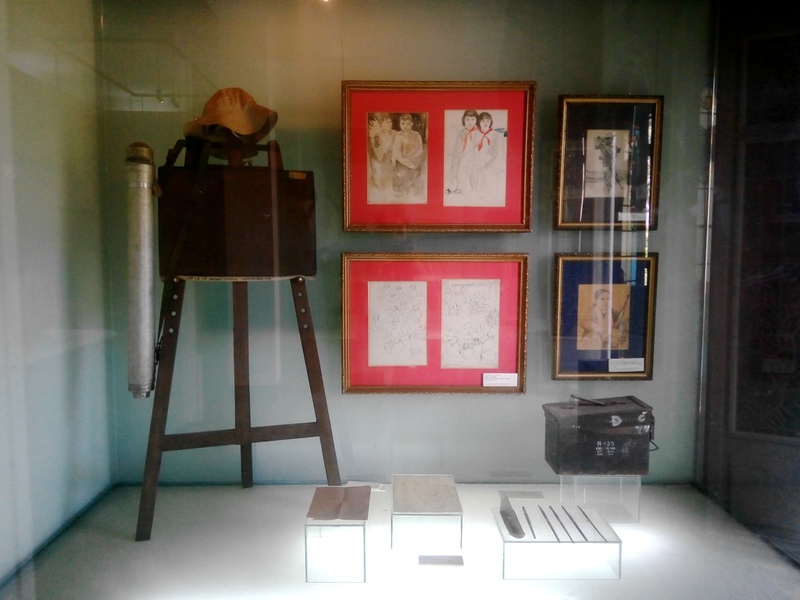 In the lives and minds of the local artists, it seemed, women of all ages and walks of life played an integral part in their nation’s history and so they are much celebrated. 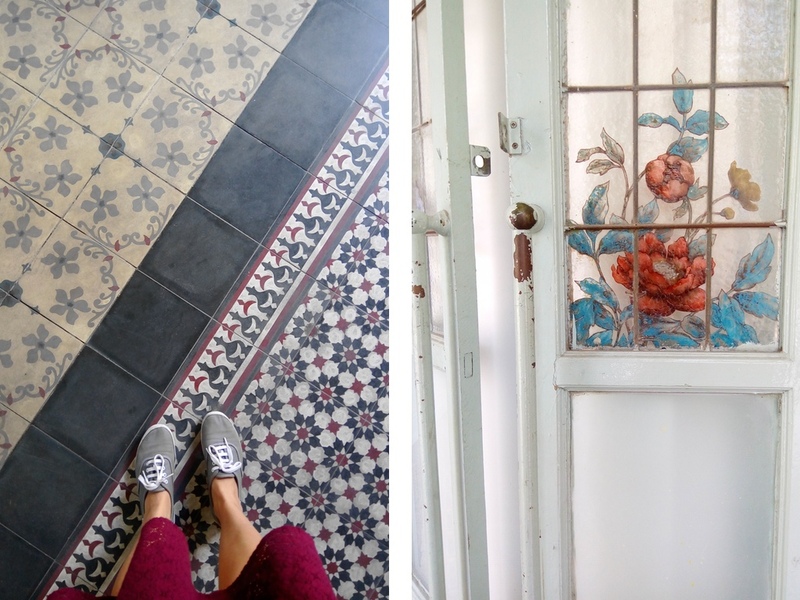 I toured all three buildings and absorbed the details of every nook and cranny. It helped a lot that there were barely any other visitors while I was there. They all seemed to have arrived just as I was heading out. I wandered the streets by myself some more and found all my senses alert. You see, in all my thirty-three years of existence, I’ve never actually gone off exploring by myself in a foreign country, so this is all so exhilaratingly new to me. Many of what I saw seemed common but at the same time, fresh and different. I tried my best to take notice of everything and even snap a few photos when I could. I just didn’t want to miss a thing! As I wandered, I stumbled upon a very inconspicuous and dimly lit bar and cafe. 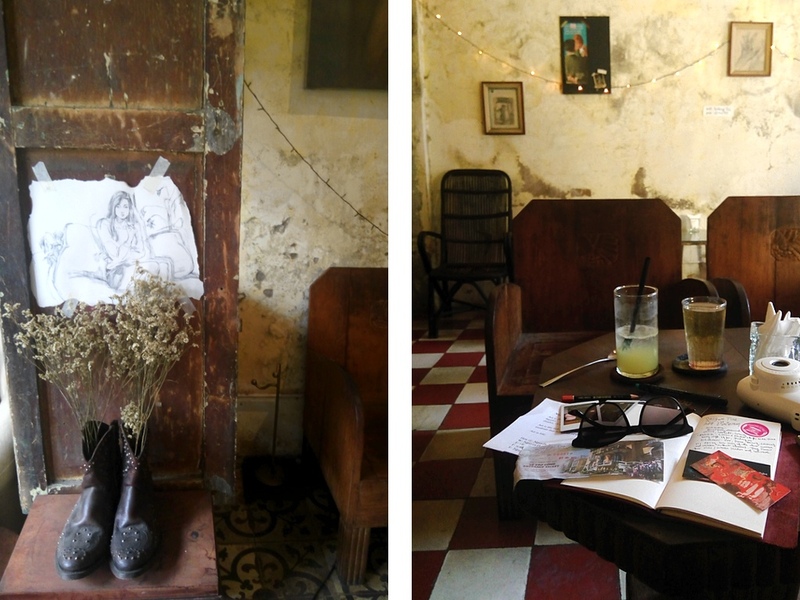 I don’t know what exactly drew me in but I saw vintage furniture, posters and miscellaneous articles hanging on the shop walls and it definitely had a very cozy vibe about it. So I walked in and decided to sit, get myself a drink and take a breather. 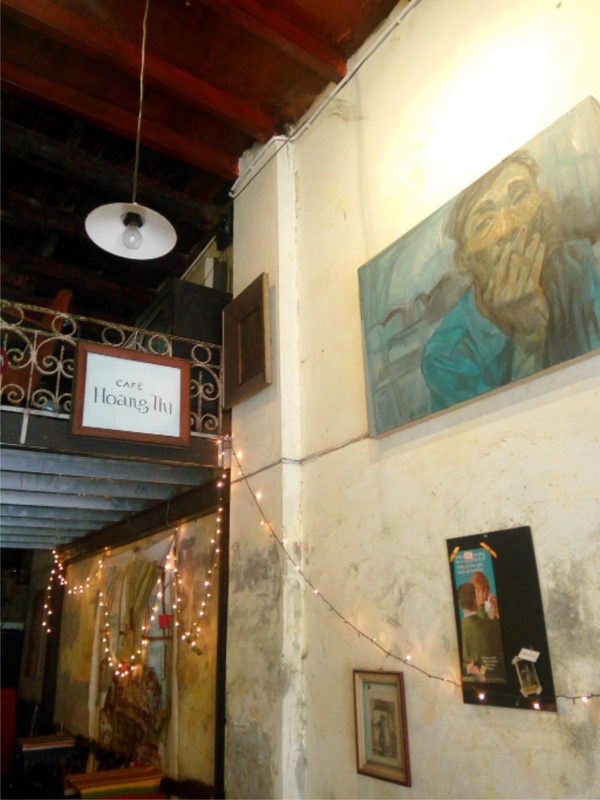 The cafe is called Trove Hoang-Thi and is owned by an artist whose sketches and paintings filled the room, some even hung on the lamps and lanterns. I spent almost an hour there just letting everything I’ve seen and done so far that day settle and stew. I met up with Kayo just in time for sunset. 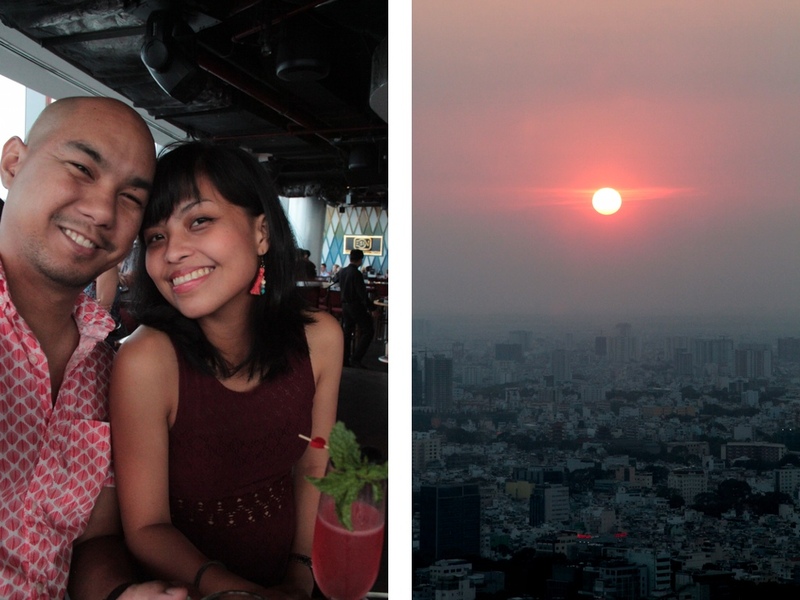 We watched it from the 52nd floor of the tallest building in the city, Bitexco Tower, where we also had drinks. Afterwards, we wandered around some more in search of a place to eat and, without meaning to, found ourselves in Secret Garden restaurant which friends and different websites have recommended as a must-try. 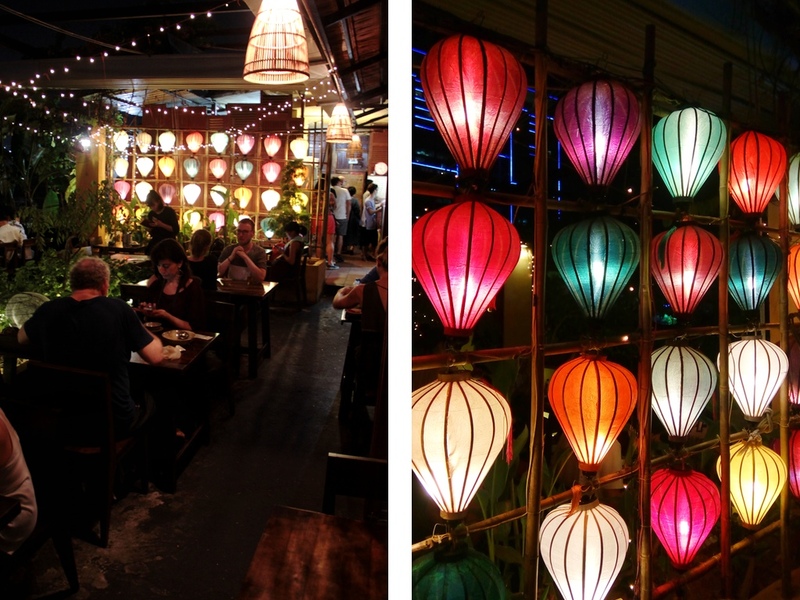 It’s located on a rooftop garden of a five-storey building all lit with Vietnamese lanterns and string lights. I was quite happy we wandered into this place. I loved the ambience and the food was fantastic! I honestly cannot even remember the names of the dishes we ordered but I happily and hungrily immersed myself in all the unusual and rich flavors we had. 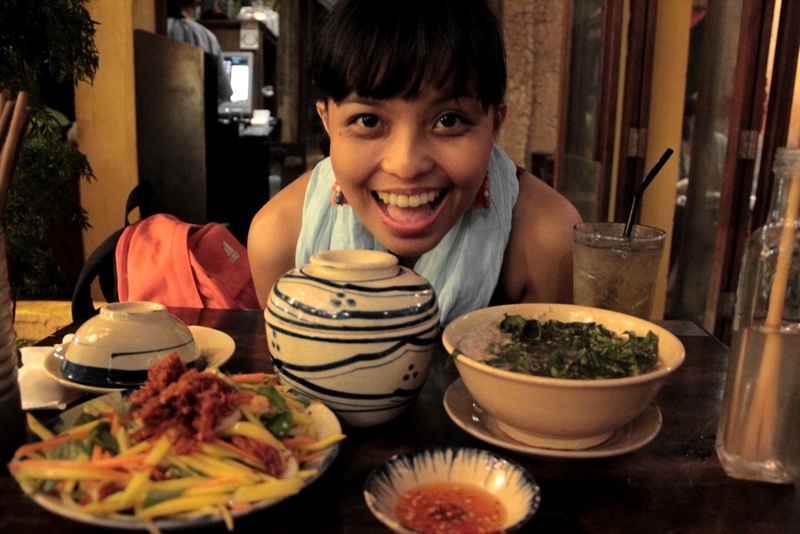 It was the perfect romantic dinner date to cap off my birthday and a great beginning to our Vietnam-eats adventure! 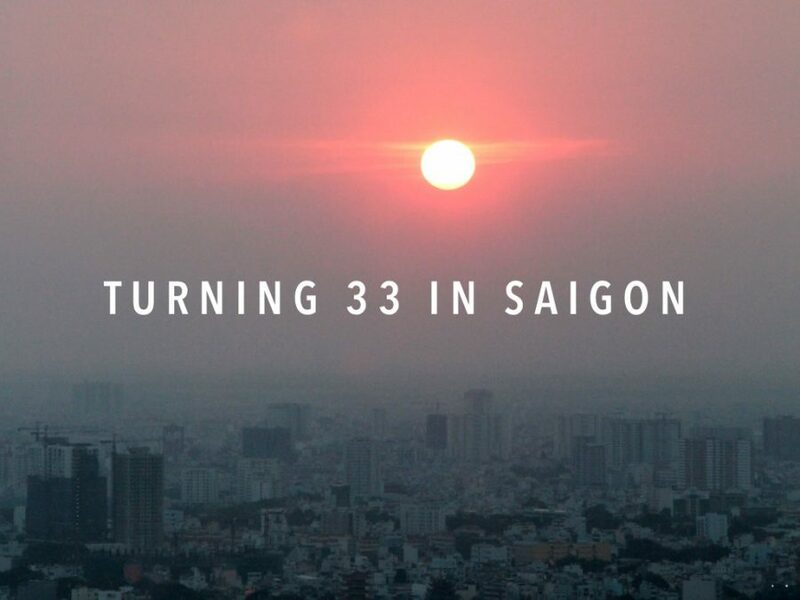 My birthday was only day one of our week-long trip to Vietnam and Saigon was one of three cities we visited. I was definitely overwhelmed by it all in a very good way. 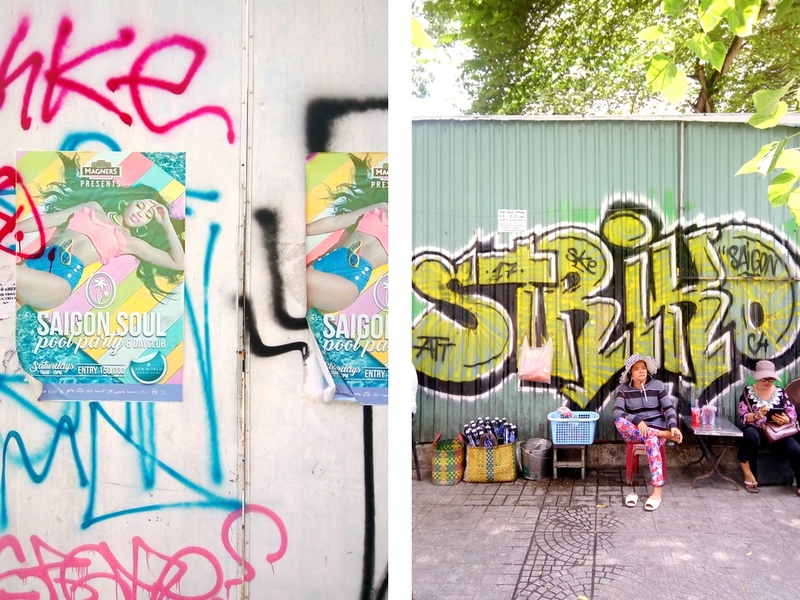 I set out on this trip with a desire to learn, be inspired, get a creative boost and it seemed like I had already gotten all that just from the first day. It’s mind-blowing what the next few days of the trip brought us! Kayo and I will be blogging about all those other experiences we had exploring, tasting and breathing in the wonders of beautiful Vietnam. 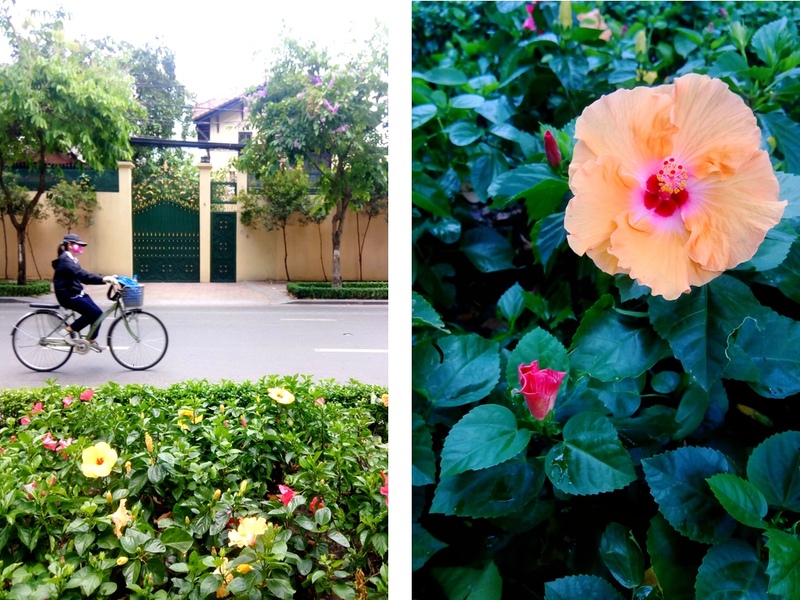 Reading your blog post made me feel like I traveled to Vietnam as well! Looks like a very interesting country to visit! I might get overwhelmed with all the wonderful places to go, the culture, the arts & architecture and not to forget, vietnamese food!!!! Maybe my husband & I should put this on our travel list too. Thanks for sharing.